Click the cigarette to enlarge the image. Flavored e-cigarettes are the Mike’s Hard Lemonade of the smoking world. Kids like em. So the FDA is cracking down. The government plans to go after menthol cigarettes too. But not the stuff that actually kills you – tobacco. 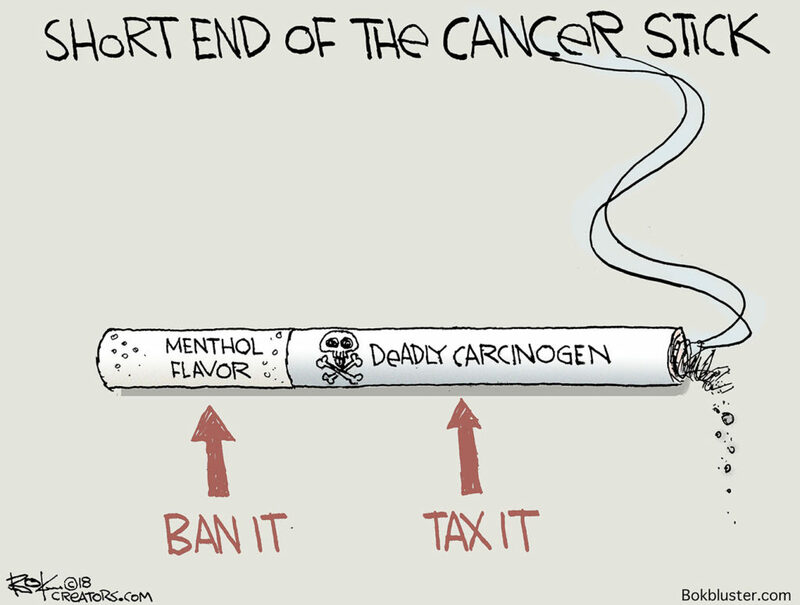 Before it kills you you will have paid lots of taxes on tobacco. And governments are addicted to that.